Matt’s talk will focus on the issue of chronic homelessness in our community, and how the “Housing First” approach using permanent supportive housing (PSH), compared to the traditional “Treatment First” approach, has decreased homelessness, improved outcomes for the chronically homeless in terms of access to resources, housing stability, mental and physical health, and quality of life, and has resulted in reduced costs to our public services system. This talk also will highlight the work of the Commission on Homelessness for Evansville and Vanderburgh County and local homeless service providers, such as Aurora, Inc. and ECHO Housing Corporation, who have been leaders throughout Indiana in providing permanent supportive housing for the chronically homeless in our community. Dr. Matt Hanka is Associate Professor of Political Science and Public Administration at the University of Southern Indiana. Hanka earned a B.A. in History and Politics from The Catholic University of America in Washington, DC, and an M.A. in Political Science and a Ph.D. in Urban and Public Affairs, both from the University of Louisville. Hanka has taught 17 different courses on both the undergraduate and graduate level. His research interests include housing policy, community development, urban policy and governance, strategic planning, and social capital. Hanka’s academic work has been published in such journals as American Review of Public Administration, Community Development, Housing Policy Debate, Housing and Society, Journal of Urban Affairs, Journal of Urbanism, Local Environment, Planning for Higher Education, and Journal for Public and Nonprofit Affairs. 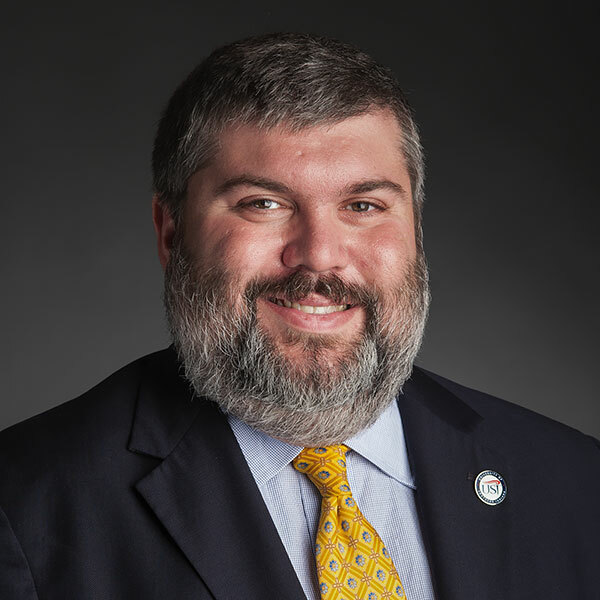 He has provided leadership to strategic planning processes for USI, the Rotary Club of Evansville, and the Evansville Museum of Arts, History, and Science. Hanka became Director of the Commission on Homelessness for Evansville and Vanderburgh County in February 2018. He also provides political commentary for WNIN-FM, Eyewitness News/Local 7 (WEHT/WTVW), and WEVV-44 in Evansville. He lives in Evansville with his wife Ann and their two sons, MJ and David.